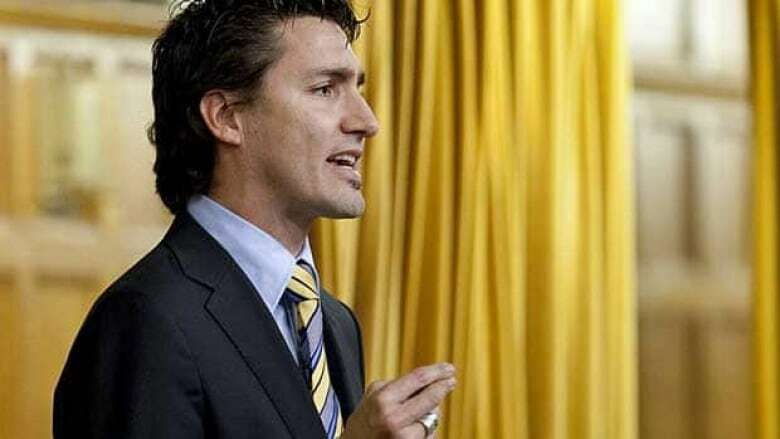 Liberal MP Justin Trudeau has apologized and retracted comments he made about use of the word 'barbaric' to describe honour killings in a new citizenship guide. Liberal MP Justin Trudeau offered an apology and retraction Tuesday over comments he made about the description of honour killings as "barbaric" in a new citizenship guide. The apology came shortly after the Montreal MP spent most of his morning trying to defend and explain his comments on the social media website Twitter. "Perhaps I got tangled in semantic weeds in my comments, particularly in view of the Conservatives' cynicism on these issues," Trudeau said in a statement. "I want to make it clear that I think the acts described are heinous, barbaric acts that are totally unacceptable in our society." The controversy around Trudeau started brewing on Monday when the MP, who is immigration critic for his party, was asked for reaction to the government's new citizenship guide released earlier in the day. The publication is used as the study guide for Canada's citizenship test. The updated Discover Canada booklet includes a line that says, "Canada's openness and generosity do not extend to barbaric cultural practices that tolerate spousal abuse, 'honour killings,' female genital mutilation, forced marriage or other gender-based violence." The term "barbaric" has been in the guide since 2009, but "forced marriage" was added to the line in this new version. Trudeau took the government to task, however, for using the term "barbaric" and said an official government publication should make an "attempt at responsible neutrality." He said the acts are "absolutely unacceptable" and that's not a matter of debate, but the language chosen by the government to describe them is objectionable, the MP said. Citizenship and Immigration Minister Jason Kenney pounced on Trudeau's remarks on Monday and the debate spilled over Tuesday morning to Twitter. Trudeau began posting messages around 7:45 a.m. ET, setting off a chain of back-and-forth posts with his followers: "My problem with the use of the word barbaric is that it was chosen to reassure Canadians rather than actually change unacceptable behaviours," Trudeau wrote. Through several exchanges with people on Twitter, Trudeau explained his position and expressed surprise that his comments generated such a reaction. "I didn't expect people to react to this: I said the same back in 2009 about Barbaric and no one picked up. Election-time now," Trudeau wrote. Prime Minister Stephen Harper's director of communications, Dimitri Soudas, weighed in, telling Trudeau on the social media service he should apologize. Trudeau sought to put an end to the online debate with this message: "OK, final word: all violence against women is barbaric. If my concerns about language led some to think otherwise, then I gladly apologize." In his statement, Trudeau said the Conservatives' reaction to the story showed a "vehemence" against him. He called on the government to introduce a national strategy to combat violence against women. Despite his efforts to put an end to the debate, Trudeau remained a target of criticism throughout the day Tuesday. Conservative MP Shelly Glover issued a press release about his "appalling" and "irresponsible" remarks and called on Liberal Leader Michael Ignatieff to strip Trudeau of his critic duties. "Unlike the Liberals, we make no apologies for letting newcomers to Canada know their rights and the laws that are here to protect them," said Glover.